"Despite unanimous calls by the world community to comply with the 2008 Cease-fire Agreement, Moscow refuses to implement the accord’s provisions, particularly refusing to withdraw its armed forces from our territories." 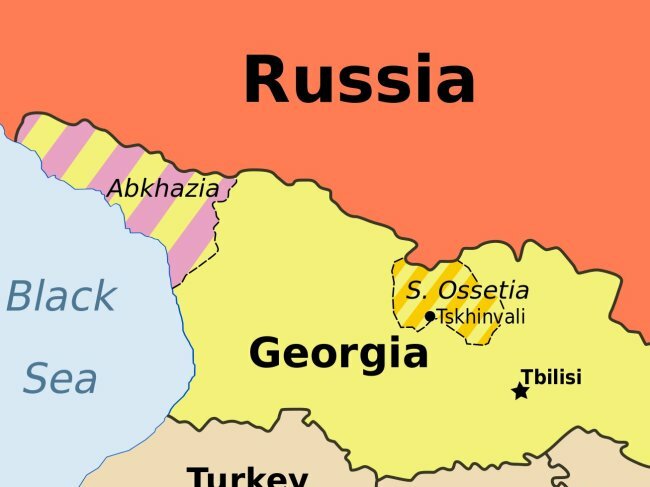 Georgia urges Russia to respect its territorial integrity and sovereignty from violations in the occupied regions of Abkhazia and South Ossetia, stressed the country’s top diplomat on the 10th anniversary of the 2008 Russo-Georgian War. In an exclusive interview with The Korea Herald, Georgian Foreign Minister Davit Zalkaliani said that the issues were of international significance, and deserve the attention of the international community, including South Korea. 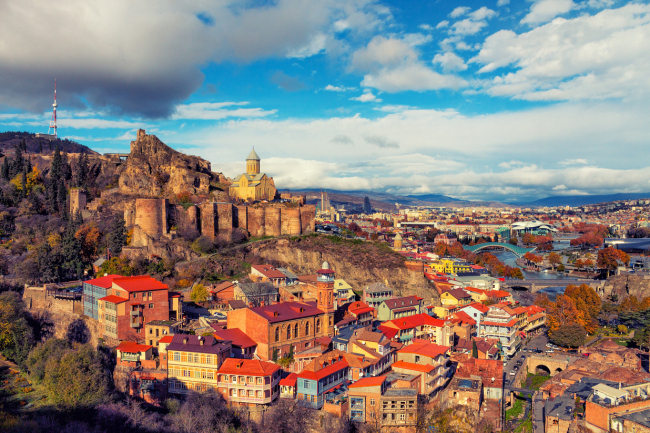 Highlighting Tbilisi’s notable achievements in bureaucratic and economic reforms and its unwavering aspirations to join the European Union and North Atlantic Treaty Organization, the minister described his country in the South Caucasus as an indispensable connector between Europe and Asia through various infrastructural and logistical linkages. 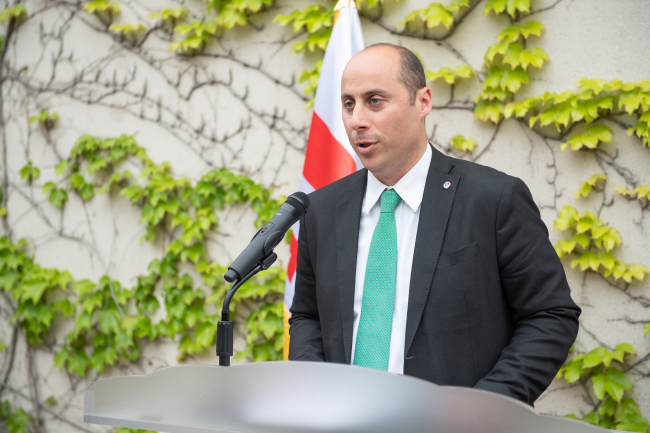 In a separate interview, Georgian Ambassador to Korea Otar Berdzenishvili said his country welcomed Korean investments in energy, hospitality and tourism, smart city development, infrastructure and information and communication technology. He encouraged Korean companies to turn their eyes to the booming Georgian market for trade and investment, arguing that it can be a launch pad for larger marketplaces in the South Caucasus, Turkey, European Union and Commonwealth of Independent States. The Korea Herald: It has been 10 years since the start of the Russia-Georgian War on Aug. 7, 2008. Georgia has claimed that Russia has not lived up to its commitments as part of the Six-Point Cease-fire Agreement mediated by the European Union. From Georgia’s perspective, what has Russia reneged on? Davit Zalkaliani: Indeed, 10 years have passed since the breakout of Russia’s military aggression against Georgia and its ensuing occupation of our historic provinces, Abkhazia and South Ossetia, also known as the Tskhinvali region. Moscow’s large-scale invasion was a blatant violation of international law and a direct attack on the rules-based international order. Moscow created a dangerous precedent that was later repeated in its annexation of Crimea and support of hostile activities in eastern Ukraine. Ten years later, Russia still continues its illegal occupation and attempts to annex the two regions into its military, economic and social systems. Despite unanimous calls by the world community to comply with the 2008 Cease-fire Agreement, Moscow refuses to implement the accord’s provisions, particularly refusing to withdraw its armed forces from our territories. On the contrary, Russia has intensified its military buildup and drills there, tantamount to an illegal use of force and threat by use of force in international law. Against this background, Moscow has prevented the EU Monitoring Mission from entering the regions and hindered the establishment of international security arrangements there. Despite 10 years of negotiations and worldwide efforts to secure peace and security on the ground, the situations in the breakaway provinces are worrisome. 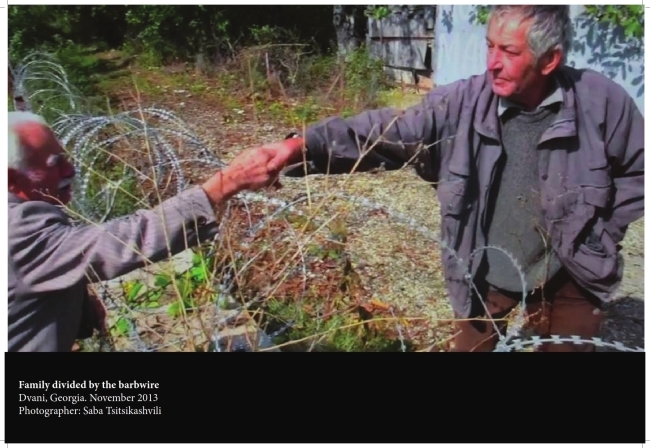 Russia has fortified and militarized its occupation lines with barbed wire fences and other artificial barriers. It has divided families and deprived the local population from accessing their properties and agricultural lands, health care and emergency services, as well as religious sites and cemeteries. Grave human rights violations have occurred from the Russian occupation regime’s restriction of people’s free movement and prohibition of native language education. Ethnic Georgians who remained in the territories are now subject to intense discrimination and attacks against their identity. Meanwhile, hundreds of thousands of internally displaced persons and refugees are still blocked from returning to their homes. 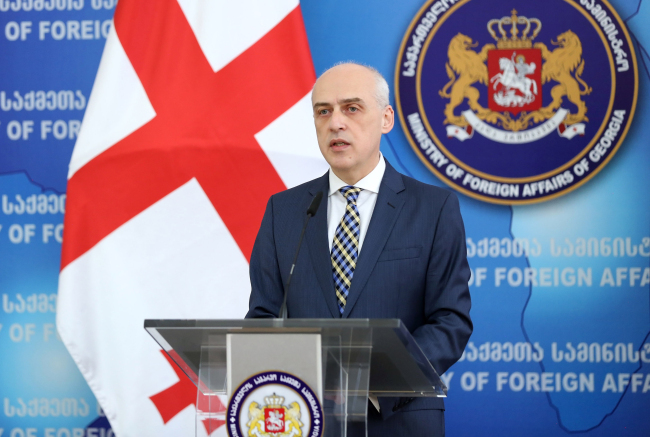 Despite the Russian violations, the government of Georgia has firmly pursued a policy of peaceful resolution to the conflict as well as dialogue aimed at reversing the occupation. We have also promoted reconciliation and confidence-building between communities divided by the occupation lines. We have continuously affirmed and applied the non-use of force principle and await reciprocity from the Russian side. KH: For a small country like Georgia in terms of population and domestic market, why does joining the EU and NATO matter so much? What benefits would Georgia’s memberships in these two organizations bring to both sides? Zalkaliani: Georgia has always been part of the European family historically, culturally and geographically. Most importantly, we share democratic European values. Our EU aspirations have been supported by more than 80 percent of our population. For our government, joining the EU and NATO is the single most important objective of our foreign policy, as it would bring us long-term stability, security and prosperity. Our membership would endow mutual benefits to both our nation and the EU. For us, it triggered a whole set of reforms to bring us closer to the highest of European norms and standards. For the EU, a prosperous, peaceful and stable South Caucasus would undergird European stability and its security architecture. A visa-free travel regime inside the EU’s Schengen Area is yet another tangible outcome of Georgia’s European integration process. We believe that our European membership will usher in security and stability to our turbulent region and beyond by promoting democratic European values. Furthermore, Georgia, with its economic potential, can serve as a crossroads between the West and the East, facilitating trade and investments, transport and communication linkages, energy cooperation and much more. When it comes to NATO, Georgia sees its prospective membership in the trans-Atlantic alliance as the best guarantor of its security and democratic development. Much in the same vein as our EU aspirations, more than 70 percent of our people support our NATO aspiration. At the NATO Bucharest Summit in 2008, the allies made a commitment that Georgia would one day become a member. Ten years later, we have progressed markedly on our membership path as a major contributor to NATO operations. We are the largest per-capita contributor and a top-third provider to the Resolute Support Mission in Afghanistan. Also as part of the NATO Response Force, we have steadily aided the alliance’s defensibility, resilience and interoperability. Moreover, Georgia and NATO actively cooperate to counter hybrid threats and foster security around the Black Sea, an area that has gained growing strategic importance in recent years for the Euro-Atlantic security, being a bridge between East and West. Our much anticipated membership will allow us to more effectively combat human and drug trafficking, terrorism, organized crimes and other international threats. All in all, Georgia’s accession into these organizations will serve as an example of how a state coming on the heels of civil war and external aggression can achieve in a short period of time, democracy and prosperity on the path toward EU and NATO. It will also help stimulate reform efforts in our neighboring and other aspirant countries, their sustainable development as well as cooperation with the EU and amongst themselves. KH: Georgia has striven to become a connector of Europe and Asia by being involved in various global infrastructure and logistical programs such as One Belt, One Road, the Baku-Tbilisi-Kars railway and the prospective Lapis Lazuli Corridor linking Afghanistan, Turkmenistan, Azerbaijan and Turkey. Can you explain Georgia’s aspirations in this regard and what potential benefits these schemes would offer to Korean businesses? Berdzenishvili: As you noted, our government has prioritized being a logistics hub connecting East and West economies. We are actively participating in the development of strategic transport corridors across Asia and Europe, particularly along the ancient Silk Road. The projects will reinforce Georgia’s transit potential, accelerate and increase intercontinental cargo flows and ensure better access to a long chain of logistic, industrial and touristic facilities. Our economic policy is directed at spawning an attractive business and investment climate. Luring and energizing both local and foreign investments is one of the key goals of our government. We have undertaken wide-ranging reforms in recent years to transform our government into a small but efficient, effective, flexible, transparent and accountable institution, and normalize good governance. We have lowered our taxes, streamlined regulations, minimized bureaucracy and strengthened the judiciary to reduce corruption. According to Transparency International, Georgia ranks 46th (best) among 180 countries in terms of corruption -- a regional leader that has rooted out malfeasance systematically. The Georgian government is keen on deepening commercial ties with Korea, a country well known for its modern, innovative technologies, goods and services. Major Korean corporations such as Samsung, LG, Hyundai, Kia and Daewoo are present in Georgia, and enjoy significant market shares in their respective fields. We are also committed to engaging Korea’s small and medium-sized enterprises by introducing our hidden, attractive potential for trade and investment. The good news is that our bilateral trade has been growing steadily to reach $100 million last year. We offer entrepreneurs a competitive platform for penetrating the wider markets in the South Caucasus, Turkey, Ukraine, the European Union and the Commonwealth of Independent States. We encourage them to establish production, packaging and storage facilities in Georgia, where operational costs are low and companies have duty-free access to booming neighboring economies. Georgia expects to sign an agreement with Korea in the nearest future for loans through Korea’s Economic Development Cooperation Fund, which will facilitate our bilateral economic ties.